for those of us who want to try it all! the wonderful products you green girls are looking for. Keep up your beautiful summer look naturally. Can a jar or bottle of "miracle cream" really be your fountain of youth? then you may not see the results you desire. can make big changes in the way you look and feel! 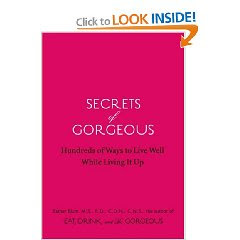 Perfect for anyone who is looking for a little extra boost! What is your moisturizing personality? Lux cremes or Light as a feather sprays? my skin was in need of some serious pampering! Between the sun, sand and alcohol based sunscreen sprays it was quite dry. It is the perfect fix for my multiple personality skin. It is the light weight Lux that I love, but is light enough for those steamy months! Keep that glow going all summer with perfectly hydrated skin! It's that time of year again!!!! Pool parties and sun bathing on the beach. What ever your summer pass time of choice ..... go waterproof. 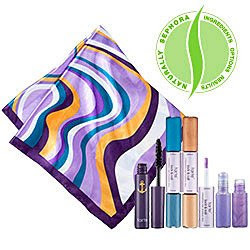 Tarte will keep you looking fabulous with it's great "Eyequatics Waterproof Essentials", that includes it's waterproof mascara, creaseless cream eye colors and an oh so fabulous scarf!